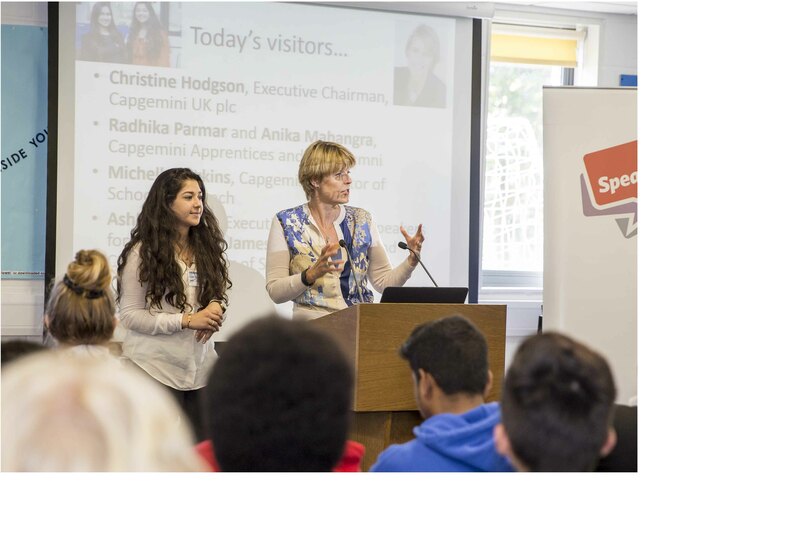 On Friday 15th July the KHS Sixth Form hosted a talk from high profile guests from Capgemini UK plc as well as the Speakers for Schools organisation, along with former Kingsbury students with higher apprenticeship positions in Capgemini. 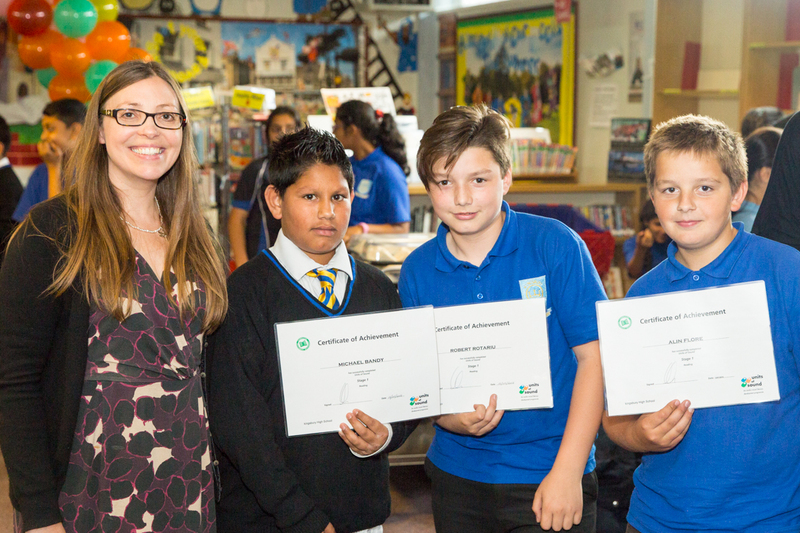 Christine Hodgson, Executive Chairman of Capgemini, gave an inspirational talk to students about career and university choices using her own experiences as examples. 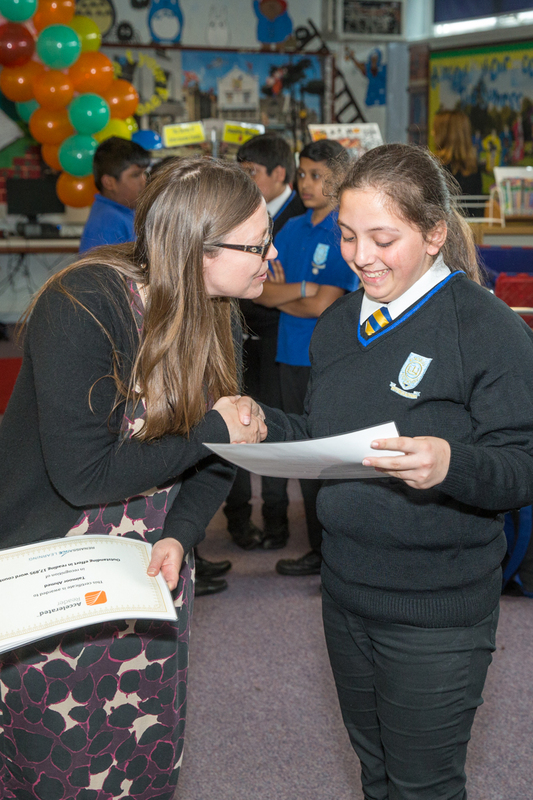 She was joined by two former Kingsbury students Anika Mahangra and Radhika Parmar who managed to get Capgemini apprentice positions as well as Ms Michelle Perkins, Director of Schools Outreach at Capgemini UK. Christine and her team gave support and advice on further education and how to be successful during the students’ upcoming professional lives. Christine advised them to ‘Do something different once a month; something they haven’t done before’ and to be open minded and excited about their futures ahead. The session was followed by a Question and Answer session with the audience showing a high interest in alternative routes to further education. After the talk our successful Young Enterprise and Kitbox students presented their product ideas to Capgemini and gained feedback to allow to proceed with their ideas, should they wish to. 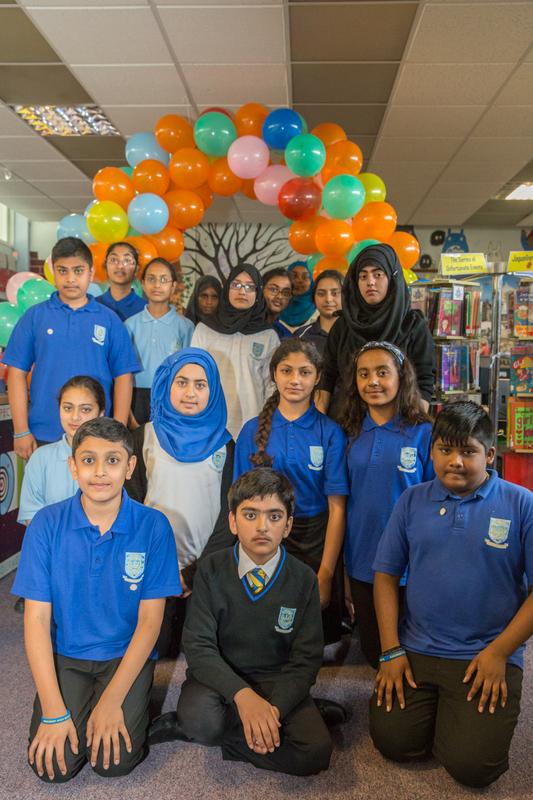 Pranesha Bhudia and her team developed ‘Roundabout’, a board game aimed at 7 to 11 year olds and their parents. The game is designed around topics of the national curriculum and encourages children to learn through play whilst creating traditional family playing time with a board game rather than using electronic devices. The team also developed a website to support their game and offer further play value. 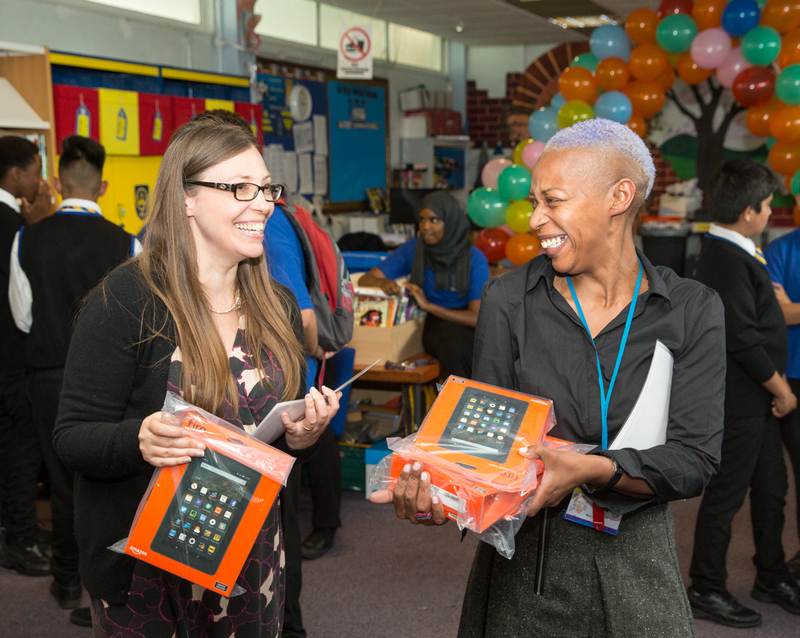 Pranesha and her team won an astounding 4 awards – the Young Enterprise Best Presentation, Young Enterprise Best Trade Stand, Overall Brent Winner and Best London Final Winner Awards. Rishi Tanna and his team developed their ‘Squadgoals’ for the KHS students, a Polo T Shirt that can be individualised for all Year 11 students, giving them the same opportunity as current Year 13 Leavers who receive their Leavers Hoodies with all their fellow students’ names at the back. 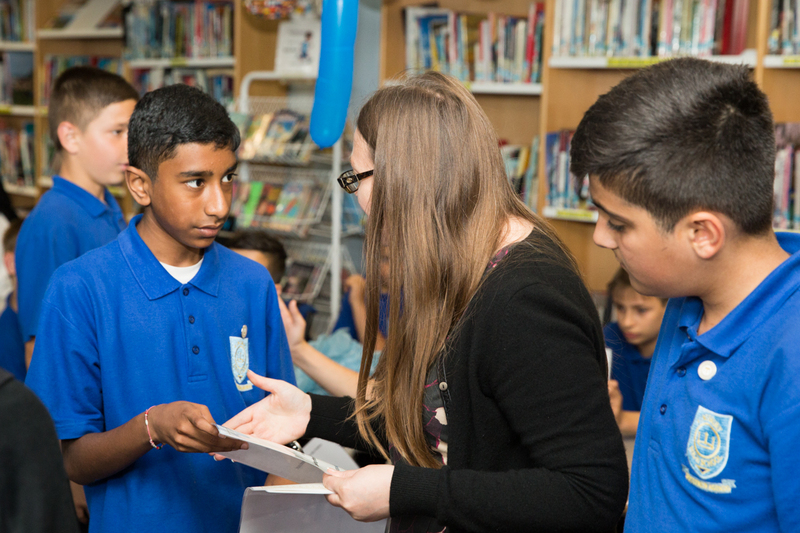 The morning has been a great success with the students who have found the support they receive ‘exciting, insightful and informative’ and are ‘excited about what the future might bring and want to thank everyone that helped them along the way’. 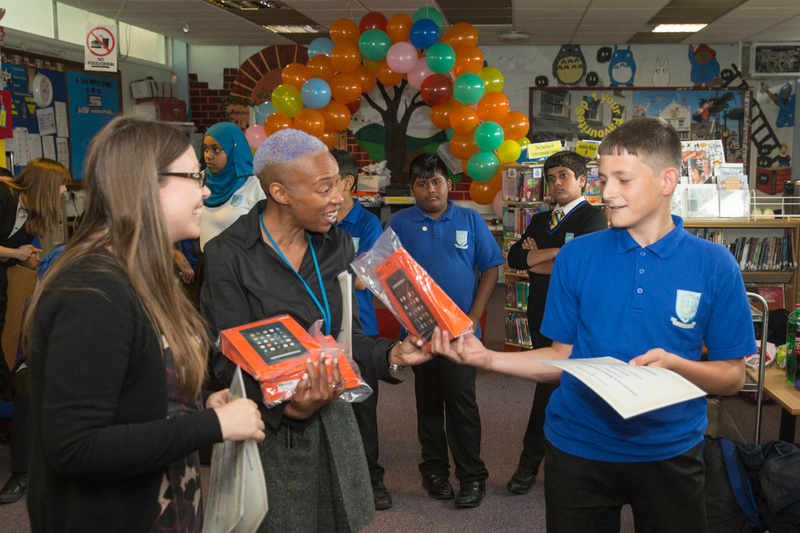 On Wednesday, July 13th a celebration was held in the T library for Accelerated Reader and Units of Sound pupils, designed to celebrate our students outstanding achievements. 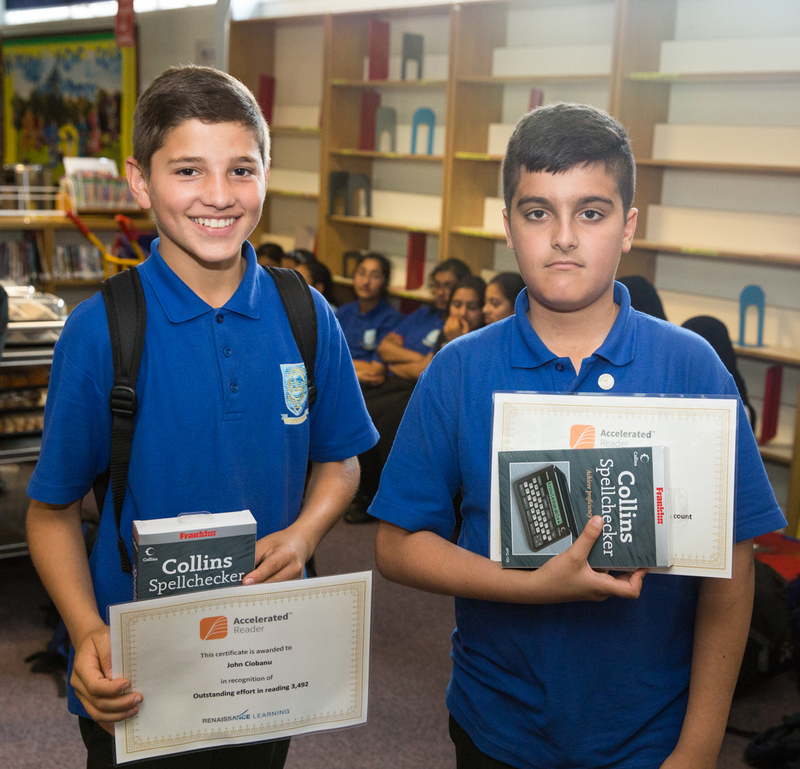 Accelerated Readers and Unit of Sounds are literacy programmes developed to support years 7 and 8 improve their confidence and skills in literacy (reading, writing, memory, grammar and dictation). 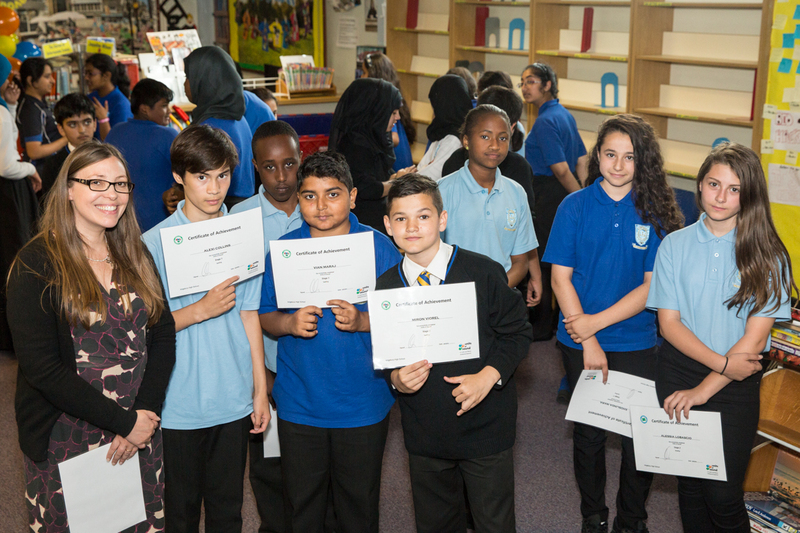 Rachel Kitley presented certificates and prizes firstly to The Accelerated Readers students, who had read 1,882,768 words over the academic year. 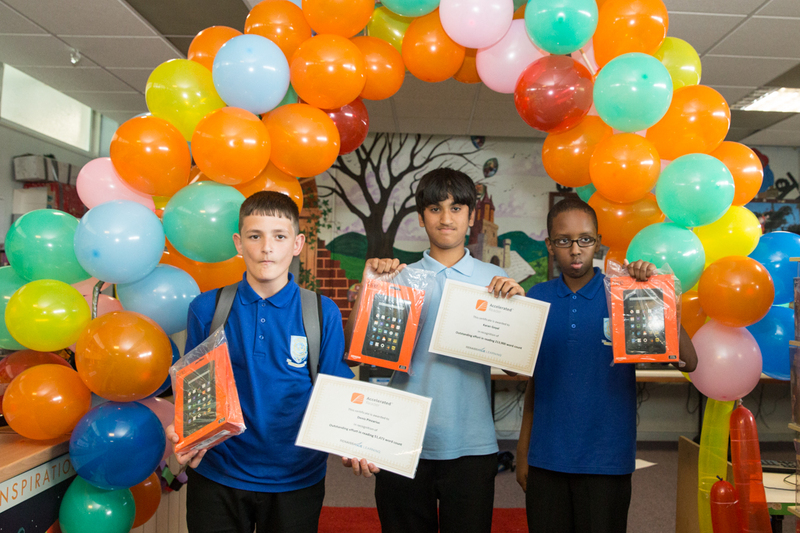 They were four Kindles offered as an incentive, the winners were year 8: Muuse Hassan 537.483 word count, Karan Goyal 213,900 word count, Denis Pinzariuc 51,473 word count and year 7: Jaziah Amin 86,766 word count. 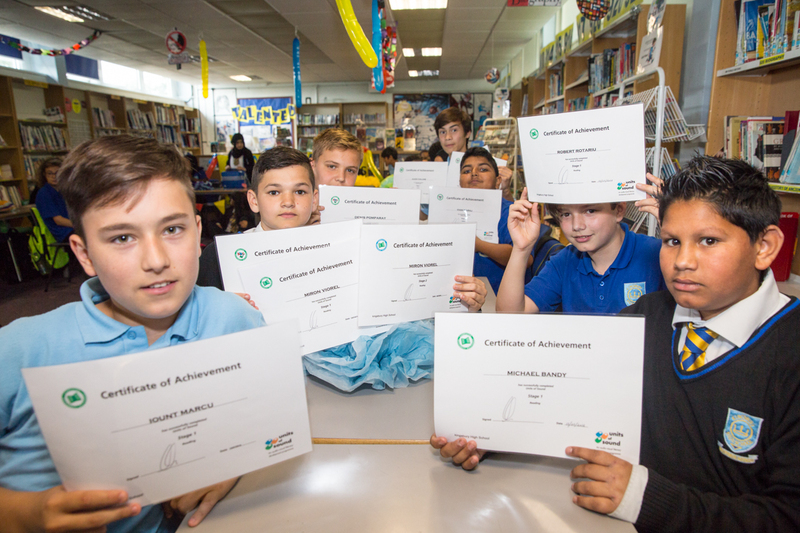 80% of Unit of Sounds, year 7 students completed level 1 in reading and spelling. Ali Ali Hussein completed level 1 and 2 in reading, spelling, memory and dictation. 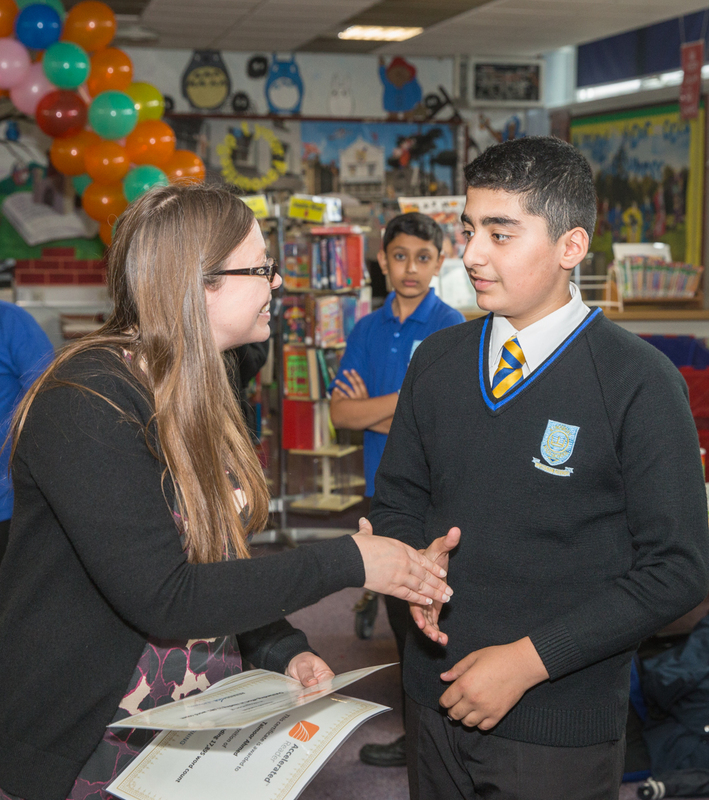 Students feedback was very positive Maria Iona Cerasela said, ‘I really enjoyed Units of Sound, I have seen improvements in my literacy/English work and as a result of Units of Sound I have moved up a level in my English’.